China’s capital is a mélange of imperial palaces, centuries old temples, brusque and imposing monuments, and overcrowded streets both narrow and wide. Beijing hosted the 2008 Summer Olympics and underwent many changes and modernizations for the event. You’ll find skyscrapers downtown, and the bright, shiny Olympic stadium, but you’ll also encounter Soviet-style bland architecture and brightly colored ancient temples. The primary language spoken here is Mandarin Chinese. 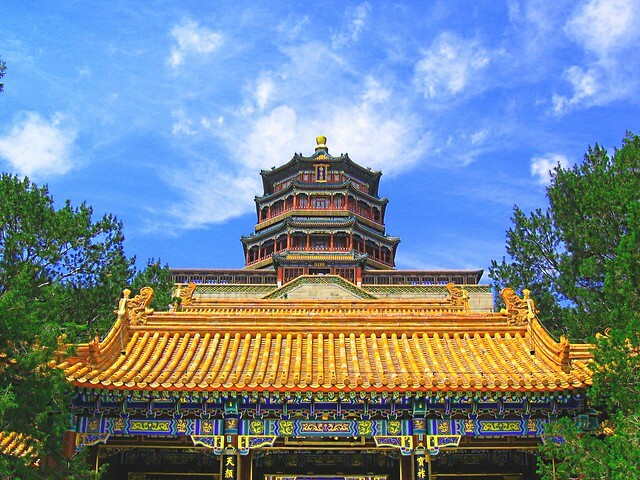 Since Standard Mandarin was based largely off the Beijing dialect of Chinese, Beijing is a great city for new Mandarin speakers to practice in and many students come here to learn the language. Beijing is also an excellent jumping off point for visiting the Great Wall of China, which is just an hour away by train. Present capital, seat of the Qing and Ming dynasties, and Beijing is an ancient city with reminders of each era of its history present throughout the city despite recent renovations and modernizations. Just walking through Beijing you’ll find evidence of its long history, and there are many specific sites worth seeking out on your trip. Tiananmen Square, known for the 1989 pro-democracy protests and massacre in the city, is the second largest city square in the world and is quite beautiful. Stand in the center and take in the wide-open space lined with ancient city gates and museums. In the square, you’ll find the mausoleum of Mao Zedong, the Communist leader. Ming Dynasty City Wall Relics Park shows off the last remnants of the city wall present during medieval times. The wall is careworn and crumbling, but holds onto some of its grandeur. The surrounding park is fresh and lush with trees and flowers brightening up the site. Check out the ruins and then relax in the gardens for a while as a break from bustling Beijing. The Forbidden City, which served as the official imperial palace during the Ming and Qing dynasties, is now a museum. You can tour the museum to see the large collection of art and artifacts from the Qing and Ming dynasties held by the Palace Museum. You’ll also find ceramics from the Song dynasty, bronze items from the Shang dynasty, and a large collection of jade artifacts from many centuries. 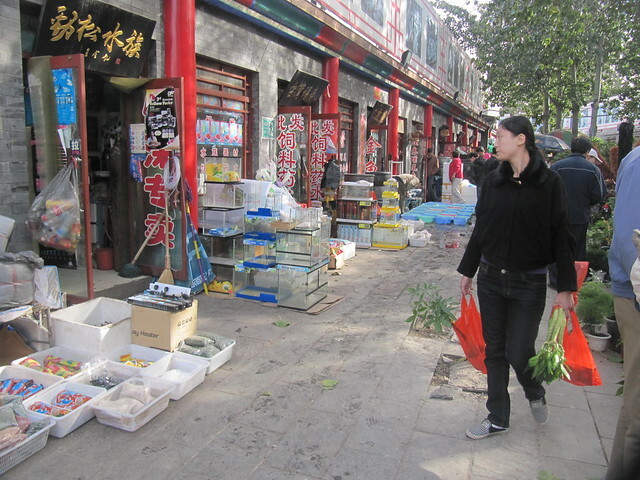 The streets of Beijing are teeming with food carts offering all manner of Chinese delights. Savory onion pancakes with sauce are one of the most popular and the best are made fresh to order. Street food on a stick is common, too. You can find just about anything on a skewer from a simple chicken kebab to silkworms and scorpions. Hotpot restaurants are a fun, social way to dine. Gather around a table with a pot of simmering broth in the middle and cook your own dinner. Order plates of raw vegetables, meats, and fish and boil them together with noodles to your tastes. Beijing is known for mutton hotpot, which is made with a mild broth and comes with mutton in addition to whichever other meats and vegetables you choose.